Victoria Beckham is a girl after our own hearts - this is the PICTURE of relaxation! 6. Victoria Beckham is a girl after our own hearts - this is the PICTURE of relaxation! 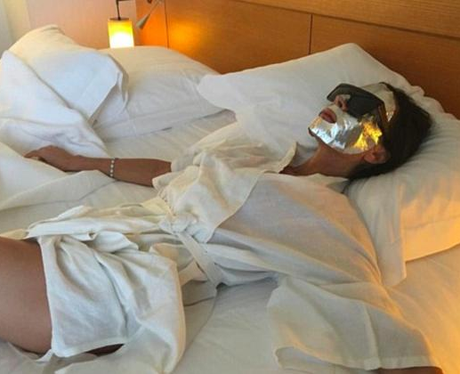 OFC, VB had to have an extra fancy foil mask - no mud for Mrs Beckham!